Priced per strip but supplied in multiples of 12 strips. 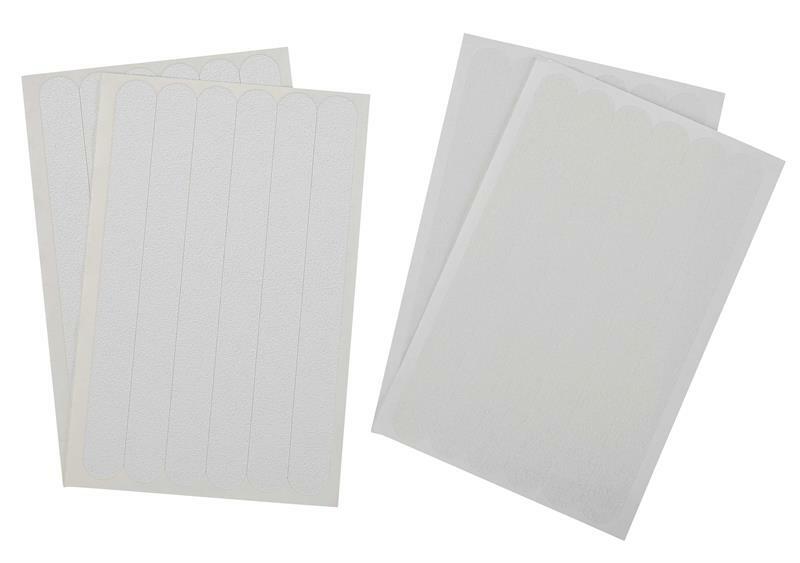 Each strip measures 0.75 inch by 7.5 inches and is white. Designed to provide firm safe footing in the tub or shower. Bonds firmly to the tub for a slip-resistant surface. Easy to install and maintain. 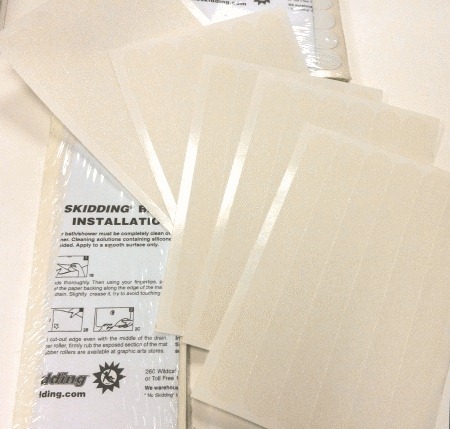 Supplied in 7½” strips, 12 per package.